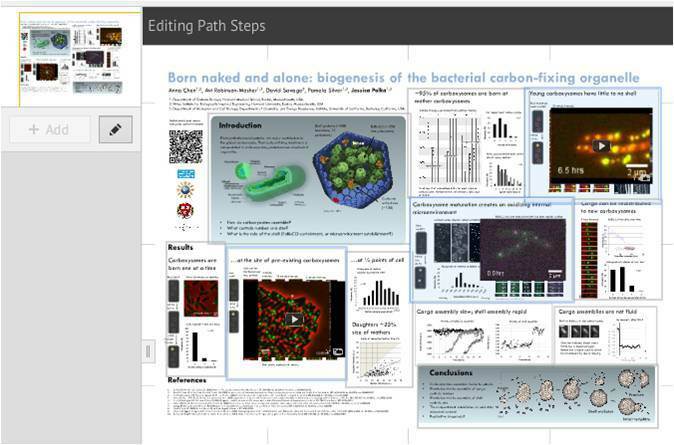 ePoster talks are an exciting new format being debuted this year at ASCB. 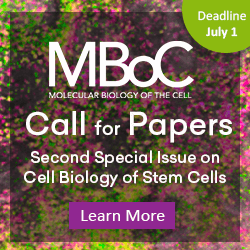 During normal poster sessions, selected posters will be displayed on large monitors in meeting rooms for 30 minutes each. Following this, presenters will give a 3-4 minute run-through of their posters, which are required to incorporate multimedia content. 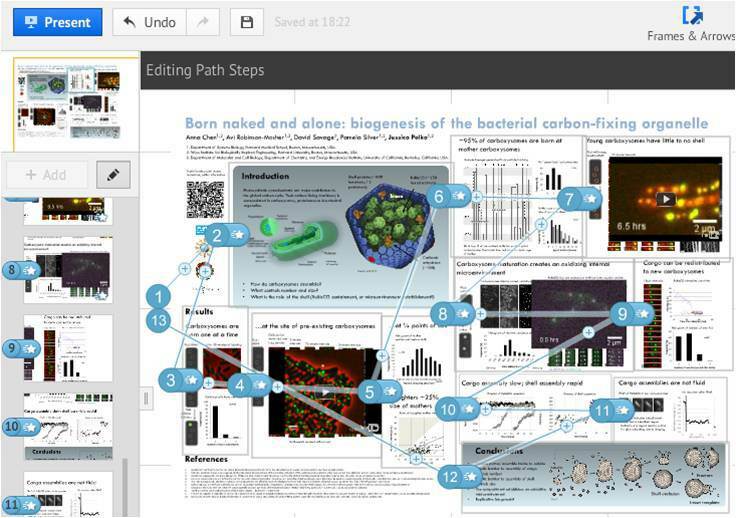 Whether you’ve been selected to present an ePoster this year or are looking to adapt this format for use at your own meeting, you’re probably wondering what tools are at your disposal. An ePoster talk complements, but doesn’t replace, a normal poster. You will still need to put your poster up on an assigned board, so you’ll probably be making a .pdf for printing anyway. You can use the same file for the normal and ePoster presentation, but you should make it in a 16:9 aspect ratio to take advantage of the screen real estate (for example, 48″ x 27″). Note that I have not done that for this example poster. If this were a real ePoster, it would be displayed with extra white space on either side of the screen. ● Create an account at prezi.com. When you’re presented with different plan options, be sure to click on “For students and teachers” to access a free account type that gives you 500mb of private storage. 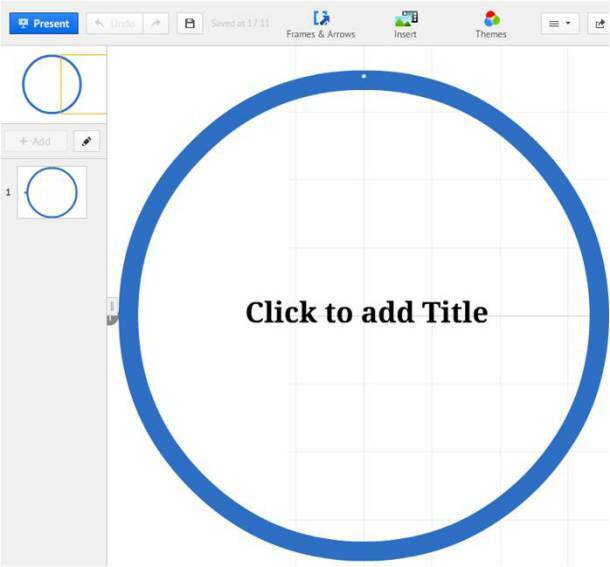 ● Select the circular frame and delete it to make a truly blank presentation. ● Now define some frames—these are regions that you will zoom in on during the course of the presentation. Choose “Invisible frame” from the “Frames and arrows” menu. ● Put frames around every area of the poster you’d like to zoom in on. It’s ok for the frames to not be in the 16:9 aspect ratio: Prezi will zoom as close as possible to still display the entire contents of the frame. As you’re dragging frames around, note that you can hold down “Alt” to bypass Prezi’s robust snap-to-guides functionality. 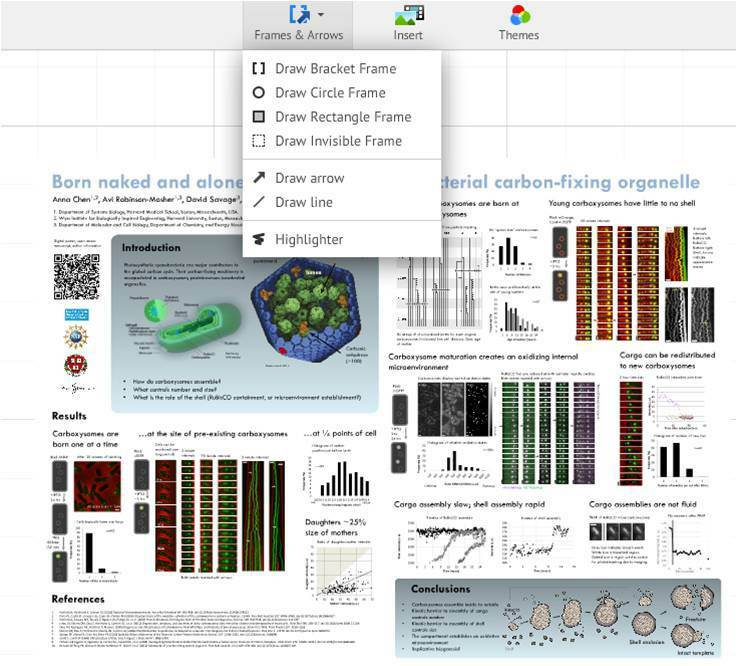 Remember that you only have 3-4 minutes for an ePoster talk at ASCB, so keep the number of frames minimal. ● When your frames and multimedia content are placed, click the pencil icon toward the left of the screen to edit the path. This is the linear sequence of events (zooming on frames, appearance of objects) that will happen as you advance through the presentation. ● First, click the poster itself. This way, the presentation will begin with it displayed at the appropriate size and position. ● Next, click through each frame in order. ● Finally, click on the star next to the path number on frames to which you’ve added content you’d like to appear later (like my movies). ● In this animation window, you can click on individual objects to apply a fade in effect. The order at which you click them will be reflected in the path and enumerated in the green stars that appear. When you’re finished adding animations, click the blue “done” button at the upper right. ● As a final touch, make your last path position the poster itself to give the audience an overview for the question period. ● When you’re finished editing the path, press the “Done” button at upper right, and preview the path by pressing “Present” in the upper left. ● Advance through the presentation with the arrow keys, and click on movies to make them play. It’s a good idea to bring your presentation to the speaker ready room in two formats. 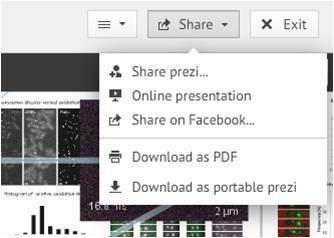 First, download it by clicking “Share/Download as portable prezi.” This will make a .zip file that contains an executable that can be played on any Windows machine, like those at the conference. Copy this to a flash drive, along with your plain .pdf poster as a last-ditch backup. Second, either be prepared to login to prezi.com in the speaker ready room, or select “share prezi” to make it “hidden” or “public,” and bring the url with you. It will then need to be downloaded and pushed to the presentation computer onsite. 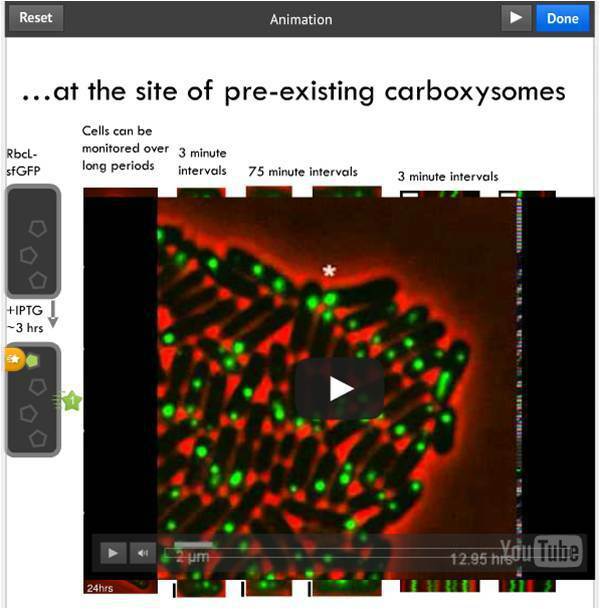 Now that you’re acquainted with Prezi, take a look at what else it can do. While it may be too adventurous for a formal scientific presentation, consider how you might be able to use it to show spatial relationships between concepts or give an audience a sense of how details come together to form a bigger picture. Here’s a good example presentation that showcases what can be done with a creative layout and embedded flash animations (complete with bonus ridiculous mad scientist character). I’d love to see a link to your ePoster presentation in the comments here, or any other talks you’ve given using Prezi!